11. C-Move - Mouss T.
16. jung mal ee ya? Jang Yoon Jung - uh muh na! Francoise Hardy - Comment Te Dire Adieu? 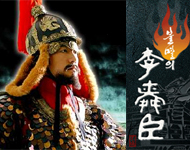 09. bok jang bool ryang! 13. nae ga sun taek han gil ee ya! The Bird - Bud? Bird! here are all the OST's i've uploaded for other people.. just posting here so it doesn't go to waste..
04. sarang ha go it ne yo - M.C. The Max! do any of you guys have the links to the Love Wind Love Song OST? Does anyone have the ost for She's Cool! (Geunyeoneun Jjang!)? Please upload if you do.Thks! Thanks for all of your effortsin organzing this thread. May I request the OST of this drama. There is an english song in this drama that I love so much but I don't know its name. hi does someone have the OST for Acacia? Or at least do they know the classical piece that's played near the end - with the children's chorus. I am looking for songs from this old Jang Dong Gun drama, The Last Match/Final Jump. Can anyone assist me? Thank you. 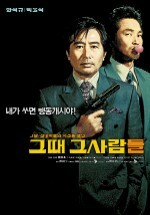 can i request Sweet Spy OST with direct links pls..
can anyone tell me where i can find sweet spy soundtrack? Anybody have the song "Show Me" from Sweet Spy. Nam Sang Mi and Dennis O'Neil's themesong! anyone happen to have the marrying in the mafia 2 song !? i saw the mv recently on kmnet... and fell in love with the song... don't even know who sang it ! 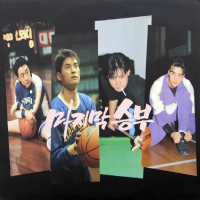 does anyone have the links to the OST of the movie < Mr. Socrates > (Kim Rae Won ) ? 07. Noir hak gyo 3: sarang eu ro? 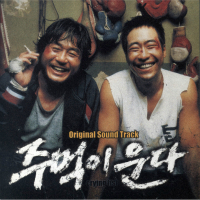 Does anyone have the OST from the current hot Korean movie, "Typhoon", starring Jang Dong Gun and Lee Jung Jae that they would like to share? It would be greatly appreciated! Thank you! is the OST for the movie Charisma Talchulgi out yet? if it is can someone upload please? 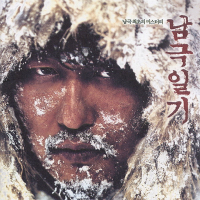 Hey can someone add the OST of Wisdom Tooth (Sarangni) Thanx!! By The way.....great job on the rest of the OSTs!!! U guys are totally awesome!! may i request You Are My Sunshine OST? I just want that song called OPPA =) something. May I request the OST for the drama? Hey does anyone know or have Youngjae's OST? I do'nt understand Korean, so don't know what drama or movie its in. does any1 has the Beauty and The Beast ost?!?!? Does anyone have the instrumental from "Bool Myul Eh Ee Soon Shin"? I know there was no OST released but I was wondering if anyone had it. Thanks, I really would appreciate it. Can I request for The King's Man OST? I can't find it in the thread...THANK U SOO MUCH! Can I also request for the song in the 'King and the Clown' mv please? It's sung by a woman and its a really nice slow paced ballad. Thanks! 09. nae ga wang ee mat neu nya? esp. the DBSG song called "one"
please PM me if u have it! I was wondering whether the OST for "Letters to Parents" was ever released because it's not on the list on the first page. can someone post the running wild (yasu) ost? Eldissa - Gimme! Gimme! Gimme! 15. gi ja gab ga ja yuh han ye bbuh bo yut suh yo!! 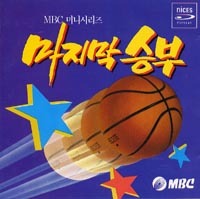 Kang Sung Hoon - sarang hab ni da. Jane Monheit - Do I Love You?